How would you like to spend longer in bed, wake up more beautiful naturally and have complete strangers in shops and hair salons compliment you on your eyelashes? 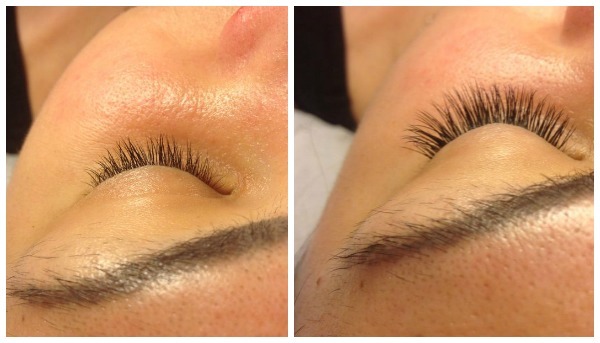 Welcome to the world of Perfect Eyelashes. The salon had a magical Christmas party recently and as tons of celebs turned out to support founder Agnes Dos Santos, the Queen of the eyelashes, and enjoy a chocolate fountain, cake pops and bubbly, I felt confident because my own eyelashes had been transformed by Agnes and her team. QS: How long do they last? A: For me, they last about a month. However, you can go in after 3-4 weeks to have some infills to make them last longer. QS: How long does it take to put them in? A: It takes about 90 mins, but it’s very relaxing. As you’re lying on a bed, you can drift off to sleep. The Kensingtson salon is within walking distance of Westfield London, so you can fit it into a day’s shopping. A: NO WAY! I didn’t notice I was wearing eyelash extensions until I looked in the mirror. This is so different to most strip lashes, when you can feel the glue irritating your eye. QS: Will they harm your natural lashes? A: Quite the reverse. As you’re not wearing mascara and not needing to remove it with chemical eye make-up remover, it’s actually helping your own lashes to get more luscious. From January 2015, the experience will only get better as perfect eyelashes are opening a larger salon, next door to their original near Kensington Olympia tube. It will have more floors, more beds and more space to relax. Trust me, it’s way more effective to get people to do things for you if you have nice lashes. Just flutter them and see what happens!